The hottest toy of the season, fidget spinner, has made their way into the fingertips of many to help with anxiety attacks. "Fidget spinners" are small, ball-bearing devices that the user can rotate between his or her fingers. Made up of a variety of materials from metal to plastic, designs varying anywhere from 2-5 propellers that surround the center bearing and when spun it maintains its momentum by continuing to spin the object. 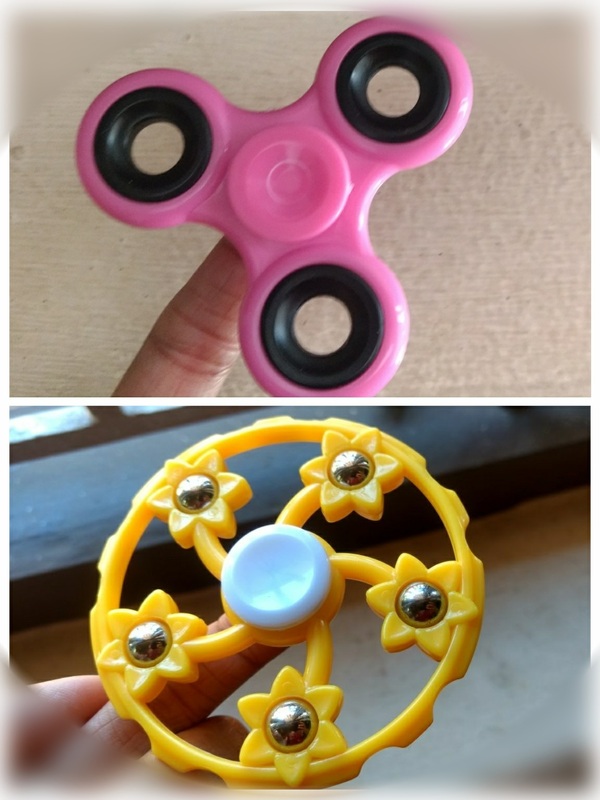 The most popular of the models happens to be the tri-spinner fidget toy. Fidget spinners were invented by Catherine Hettinger, who showed her invention to Hasbro way back in 1997. The 62-year-old had a patent from 1997 until 2005, but was not able to afford the fee to renew her exclusivity to the gadgets, which was $400, the equivalent of around £310. No wonder why she stays away from scene! A fidget spinner was launched as a toy that was mainly marketed as a stress relieving device. These are devices that are portable enough to fit in the palm of your hand. How does it work? It spins around and creates a hypnotic effect. This is meant to relieve stress and anxiety as your brain is involved in a manner, which provides you comfort in stressful situations. Therefore, when an autistic child plays with a fidget spinner, the brain of the child is believed to release happy or stress relieving hormones. The continuous movement of the gadget helps in keeping the child focused on one activity which involves a great deal of concentration. Thus by using the fidget spinner, the children are expected to curb down the symptoms of autism which are mainly caused by hyper-sensitive sensory nerves. The tactile sensations, as well as the vision of things spinning steadily are reported to induce soothing feelings to the easily stimulated minds. Spinners give your hands something constructive to do when you feel nervous. Fidgets can take away the focus of tension (i.e. a conversation, a test, etc…) and instead re-directs it to the spinner. Spinners restore some control back to the individual during perceived “out of control” situations, empowering them with more confidence and security. Taking the fidgets for few spins can help easing the dreadful feelings inside our minds, because the ball bearings inside the body act as support to maintain the spin with the minimal efforts. The perpetual motions of the spinner induces the feelings of maintaining order and assurances that everything going on just fine. Because spinners are a fun, unique fidget coming in all different sizes, shapes, and colors, many kids are curious about them and will strike up a conversation about them. 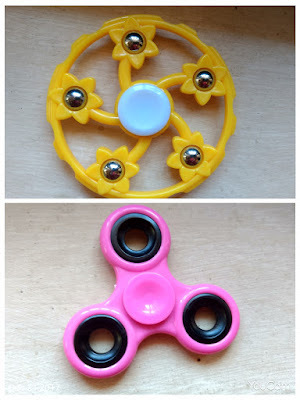 Yeah , it can be used as a conversation tool..
As a mother, I think these are good toys for kids.These little gadgets may just keep your kids off the electronics and desiring to attempt tricks and be outside with these spinners to test what they can do. Anything that helps keep kids off electronics must be a good thing, right?! The bearings are removable and can cause a choking hazard if children are not monitored. Most teachers agree that they serve more as a distraction in a classroom setting than a means by which to center focus. When you’re looking at a fidget spinner, your vision dulls and blurs around you, causing you to get a little dizzy from having wired off into some whirl of the spinner. That’s not a good thing because, for some people it could take time to regain your vision to its full potential and it can actually cause your eyes to water and your head to ache and remain heavy for long after you have stopped using the object. It encourages a sedentary lifestyle as you can sit for hours just spinning. Fidget spinners encourage you to be seated which is not good for your health..